Quite possibly one of the coolest vintage accessories I've ever acquired. The newspaper carrier. I bought it at a bike shop in Ferrara, Italy. My Italian collegues, upon seeing it, all remarked "Ah, yes, very normal in Italy". It was a "must have" moment at the bike shop. 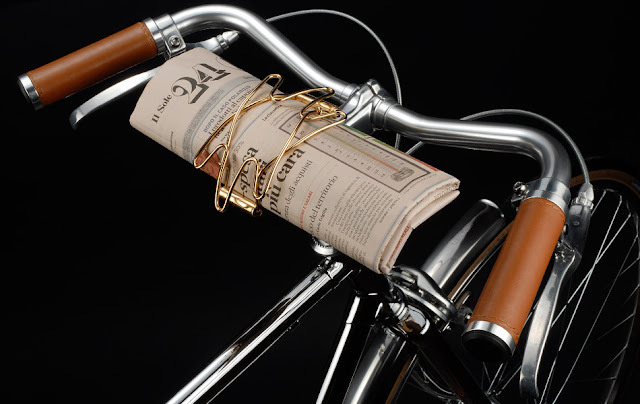 This model is designed not only to carry your newspaper, but it's wide enough for you to fold your paper to the article you're reading and ... well... read it whilst cycling. These were, I found out, very widespread in Italy for several decades. In Ferrara I spotted a few of them and one man rode past with his paper folded as such. I missed the photo, though. 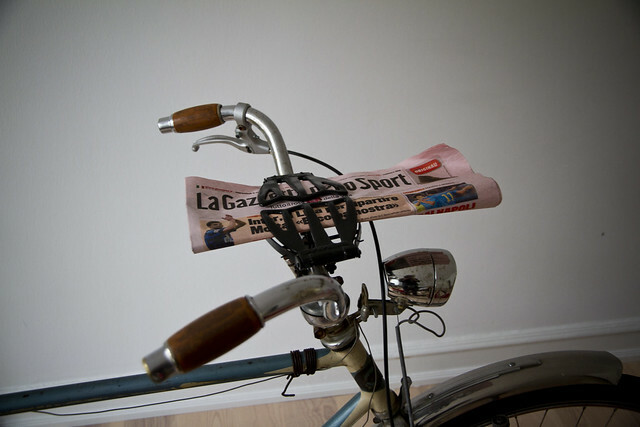 Of course I had to buy a copy of the legendary La Gazzetta della Sport newspaper with it's famous pink paper to put on the newspaper rack. I'll just have to avoid riding past areas that feature this sign, I suppose. Spotted in the Netherlands. 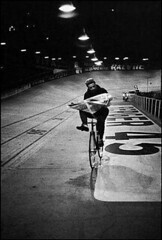 And while my newspaper carrier is more practical than reading a paper like this guy in this middle of the night shot at a historic Six Day Race, he certainly looks cool. 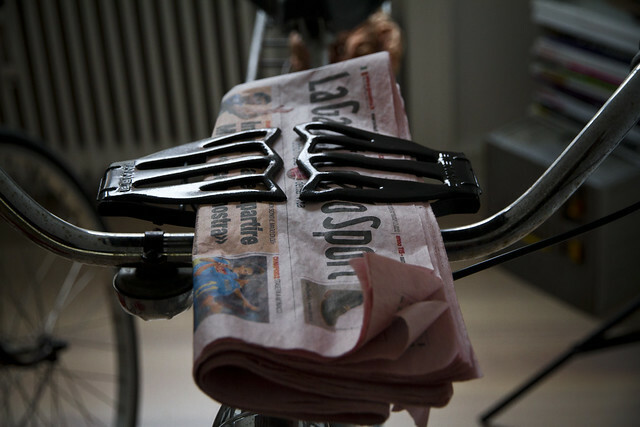 There are other kinds of newspaper holders in Italian bicycle history. This style is merely for carrying your paper. Sheesh. Can't even use it for reading it. How impractical. So many beautiful and practical accessories in bicycle history. So many of them relegated to the history books by four decades of branding cycling as a sport or recreation and not much else. 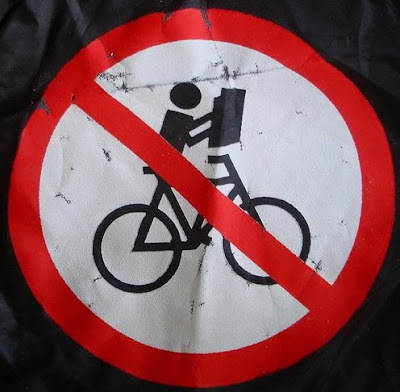 Here's an earlier post about Reading on Bicycles from Copenhagenize.